Whether you’re killing time battling your rival in Pokémon or killing baddies as Jacob or Evie Frye in Assassin’s Creed Syndicate, a lot of college students de-stress with the help of video games. The appeal of these games is often how fun the characters and worlds are, but what would happen if you brought some of those characters into your world? If Master Chief were in college with you, he’d be your ROTC friend. He’s strong and determined, with the military in mind. When it comes to schoolwork, he’d sit down and work it through until he finished. He’s the friend you know is going places in the future. Even though he’s a man of few words, he’d be in a leadership role in the classroom, at his job and even within the friend group. 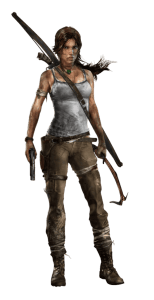 Lara Croft would push your group to go out and do something fun. 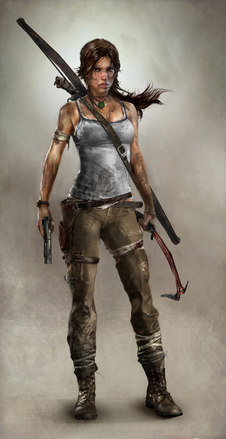 A night in for Lara Croft would be unendurably boring. She’d check around for concerts, parties or really any fun activities to do while out on the town. On the weekends she’d plan road trips to state parks and other natural attractions, cities and towns she’d never been to or maybe just pick a destination and have the group see what they find. Occasionally her adventurous side would get the better of her, and she’d get the group into some trouble as they climbed campus buildings or broke into the college football stadium. The quiet, introverted type, Link’s first weekend plan is never to go out until he sees you on the verge of making a poor life decision. He’s been on some unwanted adventures and seen some…things, but he’s always been there to save the day because you’re BFFs. He cares deeply about the ones close to him which is why he’s willing to mediate on your drunken behalf. “He’s sorry Officer, he only peed in the bushes because the bathroom was too far away.” If the group went out partying he’d probably come with but only to keep you out of trouble or save you when you fall in it anyway. There’s no doubt Ezio is a lady’s man. He’d be the kind of friend constantly in pickup mode. You’d appreciate him as a wingman, but you’d hate to be his roommate. His Italian accent would draw in all the ladies on campus, and he’d take advantage of it. Whenever the group would head out to a party, he’d already have a lady by his side. One on each arm on a good day, which, let’s face it, would be every day. 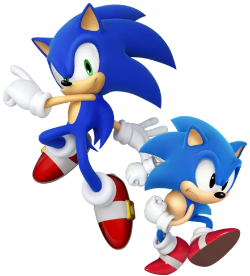 Sonic would be your track friend. He’d be the always-active runner in your friends, the one who’d sprint around campus, come back and eat a massive meal that barely made up for the calories he burned. He’d get up early, grab his coffee and go. Nothing could hold him down for very long. His sarcasm and puns would get on your nerves occasionally, but you could never stay annoyed with a friend as loyal as him. The life-long second banana, Luigi is constantly trying to prove himself. According to him, he can out-drink anybody, especially that darn brother of his. Luigi’s a sweetheart who’s sadly walked in the world’s shadow since his birth. 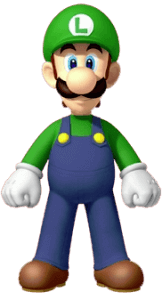 He tried to be a plumber like his brother, he tried finding a wife like his brother and he even tried his hand at something new and ended up in a haunted mansion. He knows the cards will never be dealt his way, so he just rolls with the punches. Villager is the kind of friend who just wanted to enjoy the wilderness around campus. He enjoys going out to catch bugs or fish. He’d love any classes that had to do with archaeology, and he’d be sure to visit any local museums. He also loves helping out his friends. If you asked him to do a favor, he’d be more than happy to swing by and help. Though be careful, he may expect you to give him some of your old furniture as a reward. 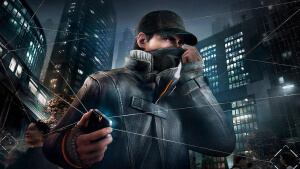 Aiden Pearce would be your computer friend, the one you’d call to ask for help when your laptop was on the fritz. He knows his way around every bit of technology imaginable. He’d have his own custom-built computer and the latest gadgetry. He’d also be a little too serious, never quite getting the group’s jokes or wanting to go out and party. You might be able to force him out on occasion, but he’d likely stick to the shadows.